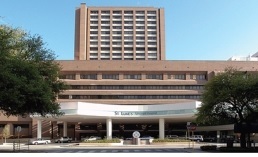 St Luke’s Episcopal Hospital has been a leader in the Texas healthcare community and on the forefront of new advances in heart health and technologies for over 60 years. 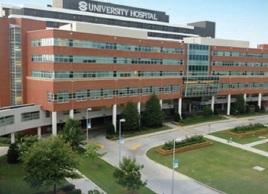 St Luke’s Episcopal Health System contributed to enhancing community health by delivering superior value in high-quality, cost-effective acute care. As a community teaching hospital and a tertiary referral centre, the hospital serves both the greater Houston area and the global community. When is came time to begin renovations on their medical tower in Houston, they wanted a nurse call system with leading-edge technology. 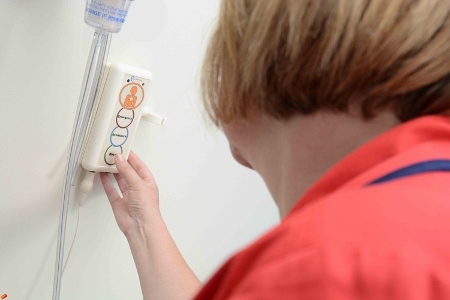 Ensuring faster response times by nurses to patients was one of the main requirements for the new nurse call system. St Luke’s was looking for a solution with a flexible range of call types, alarms and display options that embrace today’s IP technology. St Luke’s chose to install Austco’s all-in-one patient station, which provided the flexibility and range of options needed to help facilitate the first steps in faster response times. Each patient station can be configured for a private or semi-private room, with varying levels of call types. This allows the nursing staff to discern between patient calls, staff assist and code calls with ease. Having ‘clean mode’ and ‘cord out’ distinction allows for fewer false calls. A favourite feature of the nursing staff is the coloured alphanumeric LED Annunciators. The LED annunciators provide an audio and visual notification of all active calls by displaying a text message with the alarm information as well as sounding an accompanying alert tone based on the priority of the call. In November 2012, St Luke’s Episcopal Hospital received its ISO 9001:208 certification for compliance with the quality management systems under the American National Standards. The three key requirements that St Luke’s was able to achieve were providing consistent patient care, improving patient satisfaction and continually improving goal-based performance. St Luke’s has been able to fully implement its Austco Nurse Call system in seven areas of the medical tower (160 beds). Debbie Matthews is the nurse manager on the VIP floor of St Luke’s who gives her feedback on the nurse call system. She said: “ATIntergrations has been able to customise the Austco Nurse Call System to fit the needs of this area of the facility by making it as quiet as possible so as not to disturb the patients. As soon as a call is activated, a message is sent directly to pages that each member of staff carries with them. This ensures fast response times for staff.